BB Villevieille ... Great place, very clean, great view, cosy room and facilities. Hosts very kind and helpful. Try to reach the place day time otherwise won't ever get there. Avoid breakfest get the coffee though, great value for money. 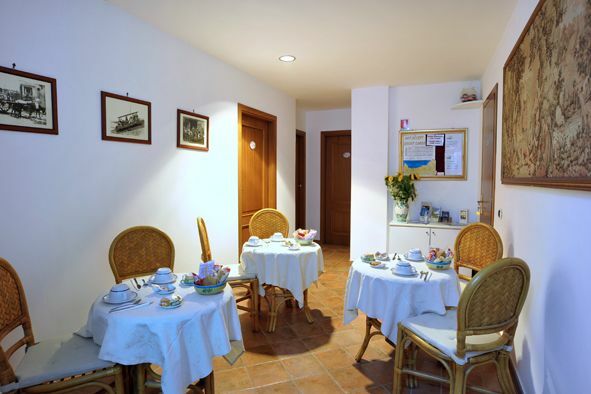 The B&B Villevielle offers to its clients a charming property and a typically friendly Italian atmosphere that unit with helpful and smiling personnel give to the guests an unforgettable stay in this sunny region. 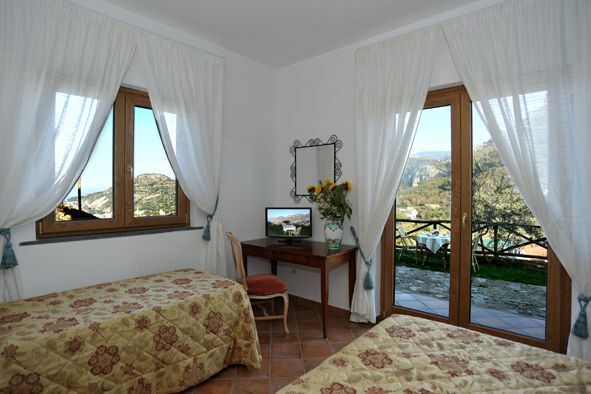 The garden offers a shady retreat and breathtaking views of Naples's bay. We have also a free car park for our guests inside garden in a reserved area covered by plants. All our rooms are furnished with taste, elegance and attention to the detail. They are equipped with air conditioning, satellite TV and balconies. 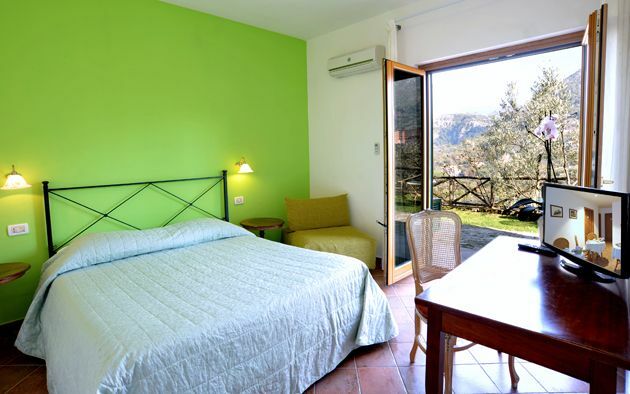 From each room, you can access directly to garden and each room has private little outside space with table and chairs. 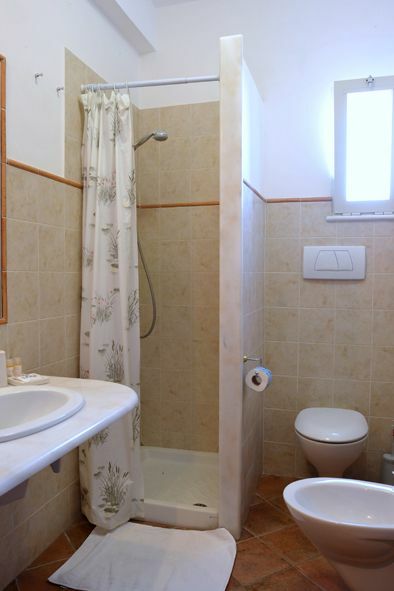 The bathrooms are quite spacious, tiled in light colours, equipped with shower, hairdryer and towels. 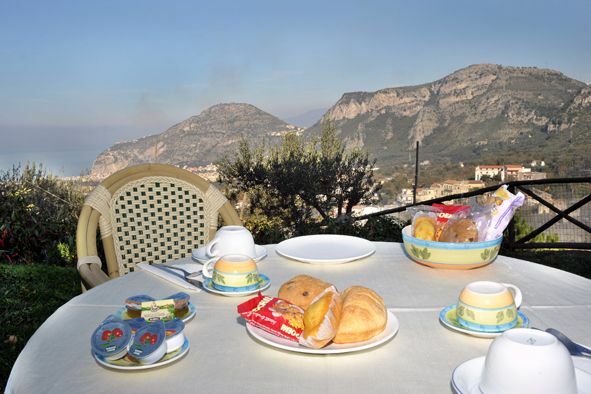 The B&B Villevieille is situated in a residential area in the middle of the Sorrento plain immersed in green and surrounded by a citrus plantation. Cancellation will be accepted up to 15 days bofore arrival. From North Italy: A1 Highway up to Naples. Then take the A3 Highway "Napoli-Salerno" and exit at "Castellammare di Stabia". Then follow the signs to Sorrento on the SS145 Costiera Sorrentina. Drive all along the panoramic coast road, passing 3 highway tunnels and "Vico Equense" village, till to "Meta di Sorrento" and next to "Piano di Sorrento". 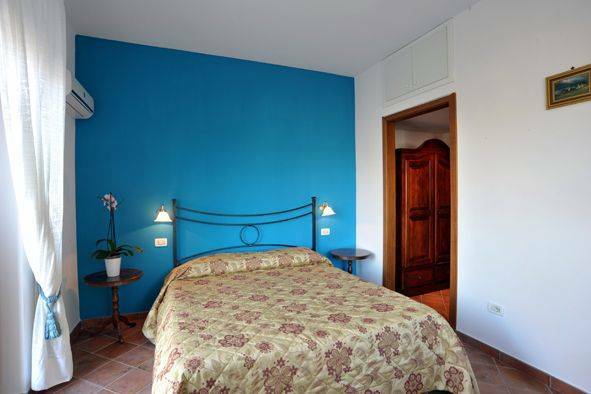 In Piano di Sorrento you will find the signs for "B&B Villevieille".